During my last year at my university, I joined a fraternity. Shocking, right? That’s what they all thought, too. Phi Beta had tried to recruit me for years, and I joke that the only reason I joined was that I ran out of excuses not to join. And so, in the autumn of 2007, seven months before graduation, I became a Penguin. Also, our mascot is the penguin. Look at how adorable this picture of a penguin is. Need I say more? 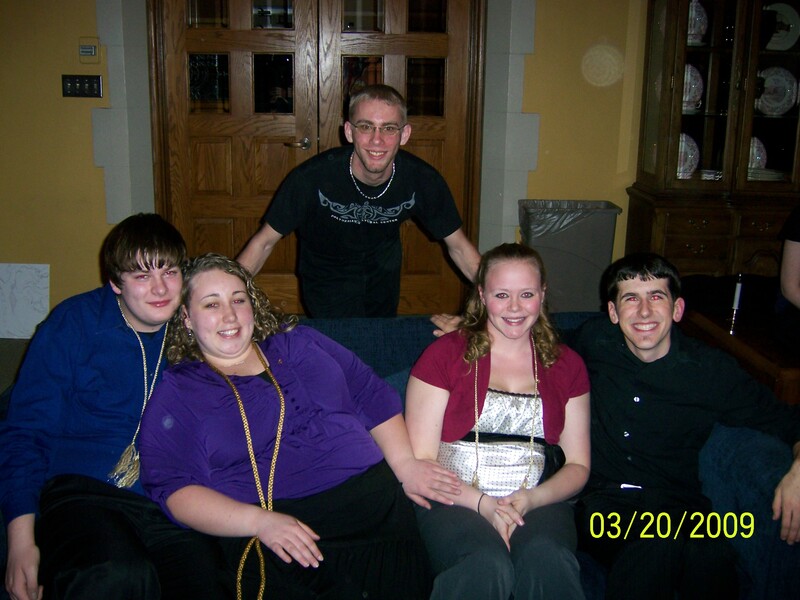 When I joined Phi Beta, I was nearing the end of my undergraduate career. So what did I gain that I did not already have when I finally bit the bullet and became a Penguin? The “Seuss” family in 2009. Phi Beta gave me a different community. It was not my only community. The Conservatory of Music was a tight community of its own, and the Campus Congregation provided another form of fellowship. But both of those were communities of chance–neither had a strict sense of membership. Fraternity life provided that solid feeling of belonging. I was a Phi Beta Penguin, once and for all, with everyone else who had gone through the same ritual. Phi Beta gave me a place to express myself. When it comes to the Arts, I am a musician by trade. I play the tuba and I sing. I had plenty of opportunities to engage in both in the Conservatory and in chapel (much more rigorously in the Conservatory), but in Phi Beta, I was able to express my artistic side for no other reason than I enjoyed it–not because I was being graded or because I was worshipping God. I got to enjoy art for its own sake, whether I was creating it or appreciating what others had created. Phi Beta gave me some awesome friends. My “big” is still one of my close friends, and she was there for me when my college relationship went to hell. And while I didn’t meet my fiancé in Phi Beta (I met her a few years earlier), we did spend a lot of time together through our fraternity, and it was during those times that I began to really appreciate who Debbie is. Phi Beta gave us all a space where we could connect with other people with similar interests and callings. Phi Beta gave me new connections. Tonight, I attended my chapter’s Initiation ritual as an alum, which I hadn’t been able to do in years, and is the reason I wrote this post. Not only did I get to see some other alumni who attended, I got to meet all the new members of my “family” that have joined since I graduated. There’s quite a lot of Seusses in Phi chapter now (each with their own Seuss name–I’m “The Fish” from The Cat in the Hat)! Knowing that we all share something special in common is a great feeling. So there you have it–my experience with fraternity life. If you belong/ed to a fraternity or sorority, please share your experiences in the comments below! Featured image: “Yellow Rose” by Jim, the Photographer, is licensed under CC BY 2.0. Posted on 10 November 2013 17 November 2013 by Pastor KenPosted in NaBloPoMo 2013, PersonalTagged Capital University, College, Greek Life, NaBloPoMo, Phi Beta. Previous Previous post: A Taste of the U.P. Loved being in Phi Beta Chi, a woman’s Lutheran service sorority, in college. Still have fond memories. We joined together, right? Have those experiences with you was a huge part of my own personal growth at Capital. I was Fall 2007. I think we joined together, but my memories are all mixed up.